Tbh, I definitely agree with the author. Let's just sit and talk in PvP... I mean, seriously? That's completely against idea of PvP mode If someone wants to talk with others then they should go to COOP. Sorry, not sorry at all, be mad all you want, I'm still going to hunt you in PvP. I think a big part of why I like PVP is meeting others and having fun and doing 1vs1 and of course war and getting coins. Yes, PVP is all about killing and coins, but you don’t get the same level of getting to know people in Coop like you do PVP. It’s more intimate because it’s smaller. I don’t know why it’s much more social in PVP, but that’s probably because people are usually only in Coop to hunt and get coins and gems and don’t have time to socialize. I’ve made all my friends through PVP. I agree with mostly everything you said though. I’d also like to add that if I see “g a y” or “f a _ _ o t” or “n I _ _ a” or the countless other offensive names on there I’m going to go rabid. It completely ruins the experience of the game. There needs to be moderaters in some of these games and kicking out the real bullies. There are young kids.....g a y kids and POC kids who use this as an escape and wants it to be a safe space. If you are reading this and think this is me being a “snowflake”.....then YOU are the one with the anger and bigotry issues. YOU are the one with the problem. YOU should take a long look in the mirror. Stick up for your fellow wolves and the kids who deserve a chance like the rest of us to play the game and not be harassed or bullied. Act like a grown-up. Also.....the bully male players? Stop calling women awful horrible sexist names and tearing them down because of your insecure nonsense. Some of y’all get mad as heck just because some girl killed you. Act like a man. Grow up. Wow I’m really speechless that was nothing but the truth there, I couldn’t have said this better myself! Honestly I think that this post shouldn't even exist at all. No one should be swearing at each other because of their own rules. If only everyone got along and accepted that people do whatever they want. Boom. Majority of drama, all the pointless arguments, every post on the forums about this, etc. gone. It's quite tiring to see the game go from something I enjoyed to something that I am constantly getting stressed about. And with that point, I bring up the fact that it's just a damn game. Nothing bad is happening that will negatively influence your life until you start being negative to other people. I can agree on all of this. People LOVE to ruin pvp by being jerks like this mostly for the "pups" that are legit lvl 50 but still a like 5to 6 k and no maxed powers (Me hehheeh). One time i joined a pvp game this 26k dude was watching i saw a low hp dude (he was healing) And i did a one hit. The dude that was healing was a good 8k so i did get down to about 1k hp from him trying to kill me. Then i went to howl i really den howled because i didnt want the dude to come back after me, one hit me, then be like "smh weak " And sometimes people will kill me constantly juat because i "killed at low hp" Anyway i went to howl and the 26k one hitted me. And said," N O D E N H O WL Z" i was so ticked off DONT RUIN THE GAME BY MAKING RULES BECAUSE U CANT BE KILLED . I mean please just why? Another time I "stole this girls kill" she was killing this dude and i went in and helped then the girl legit SWICHED TEAMS to keep killing me. Then sweared at me for 30min. It isnt ur kill bro i mean u still get experience. Chill. Just chill And ive found that alot of times i kill a lvl 48 or 49 i get killed by a 10k friend. Yes of course this is fine im not going to complain because your helpin ur bro out. But like she kept one hitting me not letting me kill ANYONE then i got past her and killed someone. And she just went to my den and if i went out she would one hit. I mean god people just turn into major brats anymore. Im not trying to be rude at all with this. Thanks guys u ppl are da best. I MOSTLY. can agree on the "rule making" lots of times something like this happends. One time i was playing pvp and someone got me down to really low hp after i killed them. And to prevent from someone one hitting me i howled to the den. Then after i came out this 12k lashed at me and i went to go back out and he did it again i was like can you please let me kill someone? 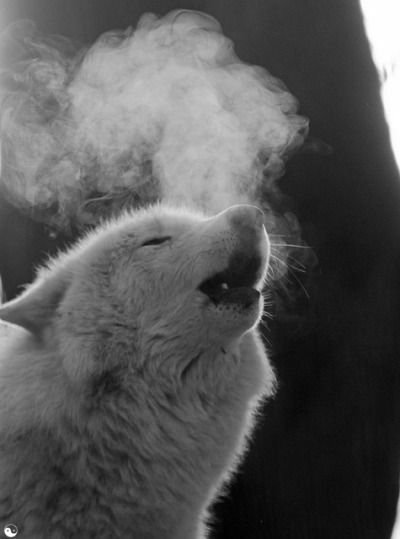 And he was like no because you den howl.. i mean... wtf? I know people should respect that the rules aren't real but everyone should also consider that the people who play by those rules usually strongly support them. If you find this annoying, you should leave the server. The same goes for anyone who dislikes the rules. If no one is leaving, then leave. Or if you can be mature about it, stay and keep playing how you want. Honestly, if they're annoying you too much just mute them. You do this by clicking the button to friend them but instead of clicking +friend you click mute. Muting the rule lovers doesn't keep them from forcefully enforcing their "preferred play style" on you. You get targeted, and that is only if there is already a war going on in the server. Otherwise if there is peace with little fighting, the kill feed will be filled with playerXxxx killed playerYyyy because you don't abide by the rules they have set upon you by the power vested in them because they are able to one hit you effortlessly. Most of the posts here are about the use of the den howl feature; Dear fellow players, do you think that the developers would have implemented teleportation to the heal zone if they didn't want it to be used in the game? Sure, IF the servers were fair and you were fighting a matching opponent and lost by a few hp, they could teleport to heal themselves because full advantage should be taken in such a fair fight. But, because this IF is inexistent, when a 5k gets a 10k down to 3k hp in great effort, the 10k is prohibited to howl, just because the 5k deserved the kill. If the 5k has mighty friends, the 10k will be harassed for "being a p!%sy" and running. What I am trying to mean by this example is that the vision towards howling to den is greatly variable due to the types of fights, but still is meant to use. If you can't kill a player in two deaths, leave them. As stated many, many times above, they don't need to make killing them easier for you. I wouldn't go out and say this thread is one-sided, because people have been posting their experiences regarding the opposition or simply disagreement of the community-forged rules. Of course, most of them are there because players have figured that they are great contributors to the flow of fights in pvp, such as the portal synching of both teams that give both teams the ability to teleport for a similar amount of time. However, this rule is being strictly enforced by many people who just don't have the temper to chill and feel superior. A small example of an experience I had was that me and my team were ready in the middle of the map waiting for the opposite team's alpha to come so that we could howl at the same time. The alpha came, but one of my teammates who had just joined the server got overexcited and used a skill on the alpha. The alpha went nuts and killed every single player of our team, not letting us howl at all. As many of you may have seen written in the chats, he wrote something along the lines of "You portal blocking huh?! Very well I'll play dirty." And now we are all doomed to stay at the den, hoping that he will quit out of boredom. He wasn't in the fight exactly, but was howling for his team in synch with us. A 20k, no less. Some rules may deserve to be obeyed, but nobody has signed a contract confirming they will abide by the rules before connecting to the servers and therefore deserve to "play dirty," as many players accusingly call it. Deprived from the benefits of the rules of course. Preventative measures HAVE been implemented by the developers into the game for "dirty play" that completely goes against the nature of the game. An example is the whole quitting-right-before-death thing. This used to be spammed a lot by certain people; When they were reconnected to the server, they would have their hp and all skills recharged instantly and empty them on to all the players then leave again to recharge. Now, when you reconnect, you do not spawn at the den, don't have your hp refilled, and most importantly your skill recharge is not renewed. Now the act of disconnecting from death is not as common. Hats off to Swift Apps for that. Now that I've read over this argument, I am inclined to see the benefits of playing by the rules in a clearer manner. What has caused the players of The Wolf to create these rules? How benefiting are the rules in contrast to playing freestyle? These two should be closely examined if there ever is going to be a decided balance in between the two game styles, although I know no one actually has the time or inclination to do so. Let the chaos rumble on, I guess. Swift Apps would have considered this ages ago if it was an issue concerning gameplay seriously. One last thing that I feel I have to note here is that don't ever tell me to switch rooms if the circumstances are not fitting for me. A- Even if I am inclined to leave the fuss of my current server behind, there is absolutely no guarantee that any other server is going to be devoid of people that I am avoiding in the first place. They are everywhere. B- There is probably a good reason why I stayed in the server, called a "proper fight." I know for a fact that whatever other server I will hop on will have people idly chatting and some ABC x CBA & CBA x ABC people imitating certain "actions" and saying God knows what in their private chat. C- These two reasons combined, they outweigh the possible benefits of hopping. Waiting in the den for the problematic player to quit will be much more desirable because once they are gone, the fights will turn back to normal. Speaking of staying in the den, it is an act of desperation, so stop calling those people names and trying to provoke them to come out, and switch to their team to help them. It will be more lucrative for both sides.